The doctor offered to change, but the parents opted for the "unique" experience of the Joker delivering their baby. Giving birth is stressful enough, even if your doctor is perfect. So, you’d think if your doctor was the Joker, you’d totally lose your mind, right? Not Britanny and Justin Selph. 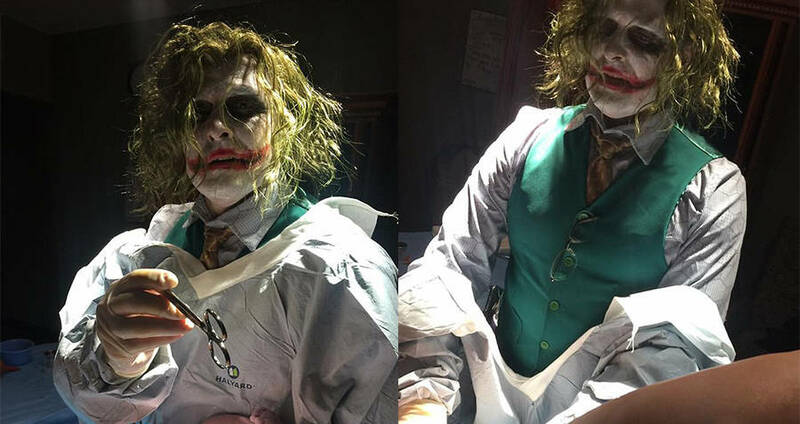 When the parents-to-be arrived at the Henry County Medical Center in Nashville, Tenn., they found their obstetrician, Dr. Paul Locus, dressed in his Halloween costume — an extremely good interpretation of Heath Ledger’s Joker from The Dark Knight. Dr. Paul offered to change out of his costume to deliver the baby, as Britanny wasn’t due for a few hours, but the parents were surprisingly on board with his costume. The Selphs explained that Britanny’s original due date was Nov. 5, but her water broke early. When they got to the hospital on Halloween, they just rolled with their doctor’s costume. “My wife, being the open-minded woman, with a sense of humor, thought it would be hilarious to have such a unique delivery,” Justin said. 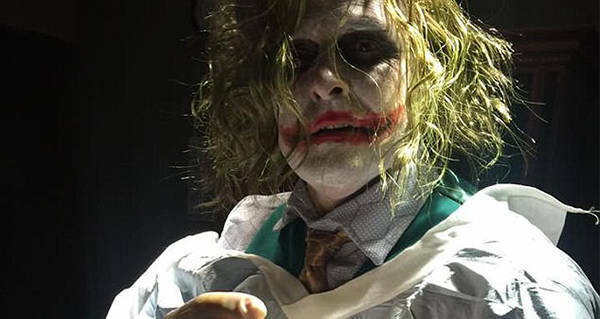 “We found it very humorous and a little excited that we would have a baby delivered by the Joker,” he added. The rest of the world did too, it seems, as the photos posted by Justin have since gone viral. At one point in the day, Justin even tried to live-stream Dr. Paul delivering the baby to Facebook. In the end, the delivery went smoothly. The only one not thrilled with the costume? One of the Selph’s other daughters, dressed in her own costume as a pink power ranger, was scared by the Joker costume and took some convincing before she warmed up to the idea of the Joker delivering her little sibling. The family said that Dr. Paul had just as much fun as they did with the experience and that he had no problem posing for the photos they took. Next, read about the university that offered counseling to students offended by Halloween costumes. Then, read about the doctor who held off on her own birth in order to deliver her patients baby.